Ever since we’ve been married, our master bedroom has taken the back seat to other house projects. In our first home (a rental), we didn’t have a whole lot of liberty to revamp the space, and since we moved into our current home a little less than two years ago, we’ve had so many other projects to work on that our bedroom, as per usual, has been basically forgotten. Enter Timberwall. 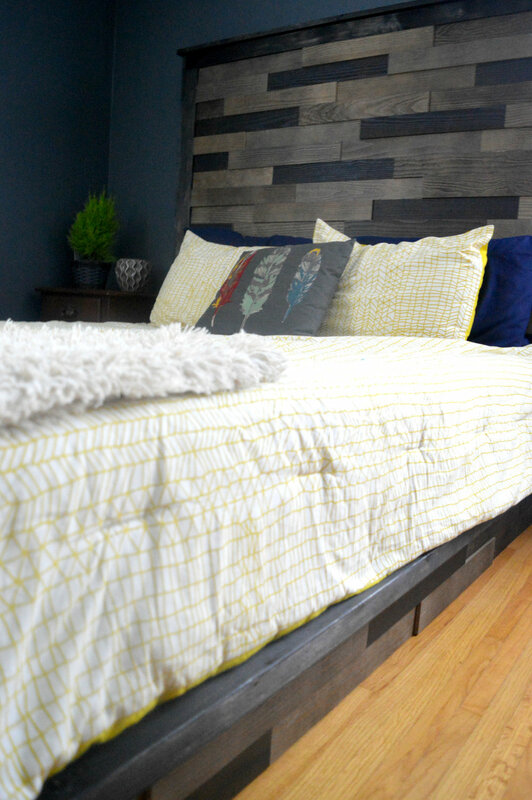 These rustic little planks (and a couple fresh coats of dark gray paint on the walls) have really helped to bring some more character to the space. 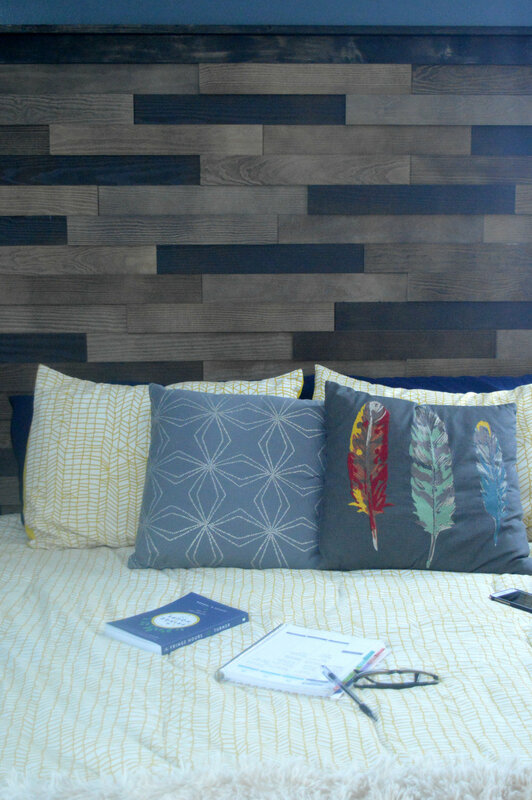 Luke, once again, made all of my Pinterest dreams a reality by building us a new platform bed, complete with this beautiful Timberwall headboard and Timberwall-wrapped frame. I am obsessed with how it turned out, and I don’t know if it’s a coincidence or not, but I have actually even been sleeping better at night since our little room revamp! 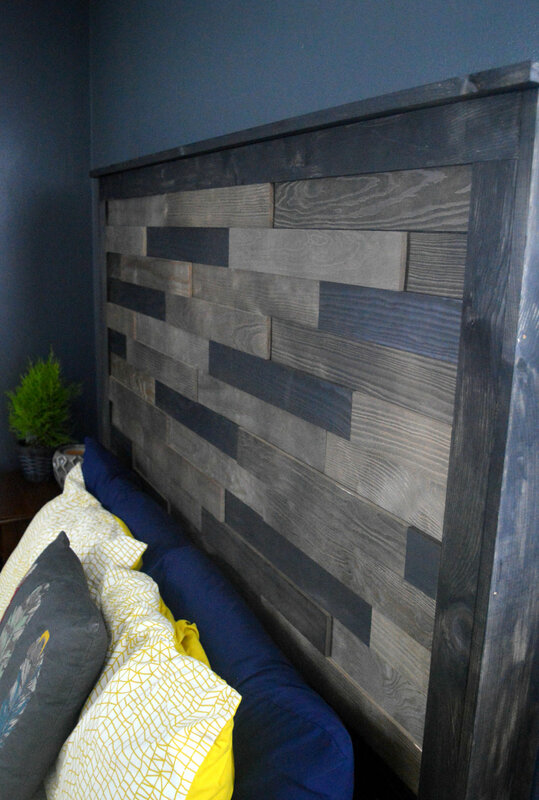 We used the Landscape collection for this project in “Desert.” The Timberwall planks are packaged 30 per box in three different widths to add dimension to your project, and each box covers approximately 12 square feet. (For reference, we used almost all of three boxes for this project.) You can find Timberwall products to purchase at Lowes and view their entire catalog online here. We still have some work to do in our bedroom: painting our dressers (or ordering new? ), installing a new light fixture/ceiling fan, and hanging an eclectic gallery wall; not to mention installing some sort of new flooring to all of the bedrooms in the house eventually. 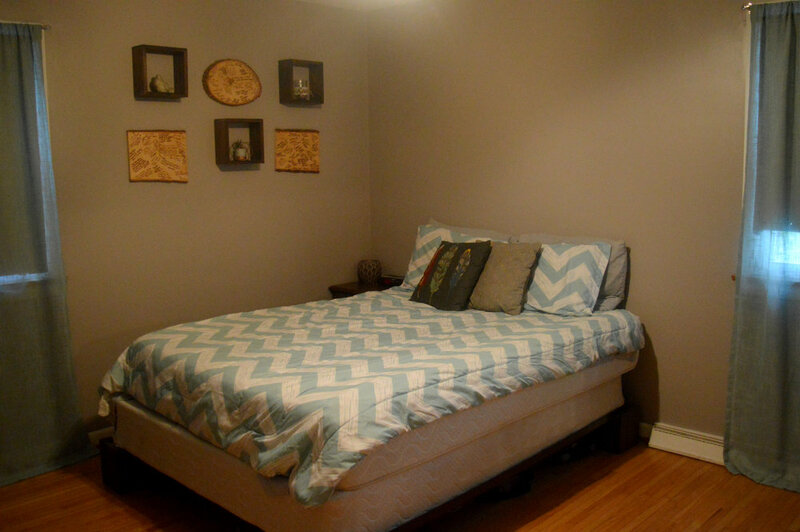 But having this cozy new bed to crawl into every night sure has helped make the space feel more like home. Special thanks to Timberwall, who graciously supplied us with the materials for this project. You can find Timberwall on Facebook, Pinterest, and Instagram and search their hashtag #mytimberwallproject for even more inspiration!